Muse Eatery is it or is it not connected to Muse on Allen ?or what does this say about Samuel Norths integrity ? 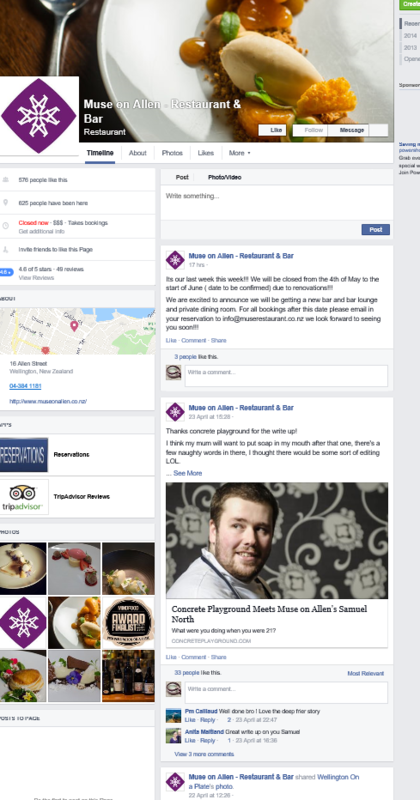 Owner Samuel North says it is not connected to his new business, Muse Eatery and Bar, on Victoria St.
His current business Muse Eatery & Bar on Victoria St was not connected to the liquidated business, he said. It was owned by Catering Limited, of which he is the sole director. 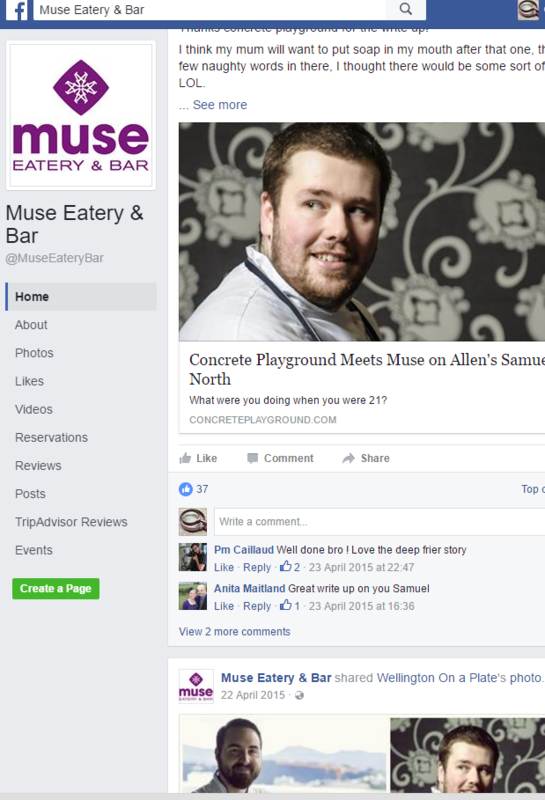 Catering limited was incorporated 03 Dec 2015 so How could Muse eatery , owned by Catering limited have won the above awards the news items clearly show that these awards were for Muse on Allen? Samuel was indeed very fortunate to have Sarah Meikle as a friend see here read more about her here Five Minutes with Visa Wellington On a Plate director Sarah Meikle. 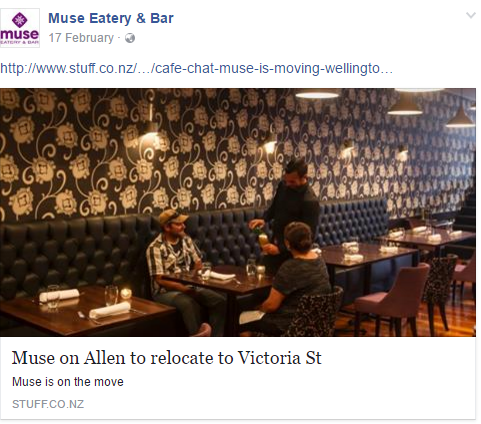 17 feb Link Muse has closed its Allen St doors, and is to reopen in Victoria St.
Muse On Allen restaurant has been at the address for three and a half years, but will reopen at 56 Victoria St, formerly home to 3C Bar and Restaurant. Muse owner and director Samuel North says the new space offers the restaurant a chance to expand its services. Since opening the fine dining establishment as a 21-year-old, North has grown Muse into an award-winning success story. When the restaurant reopens in the first week of March, it’ll be serving lunch for the first time in addition to dinner, with plans for a breakfast service, too. 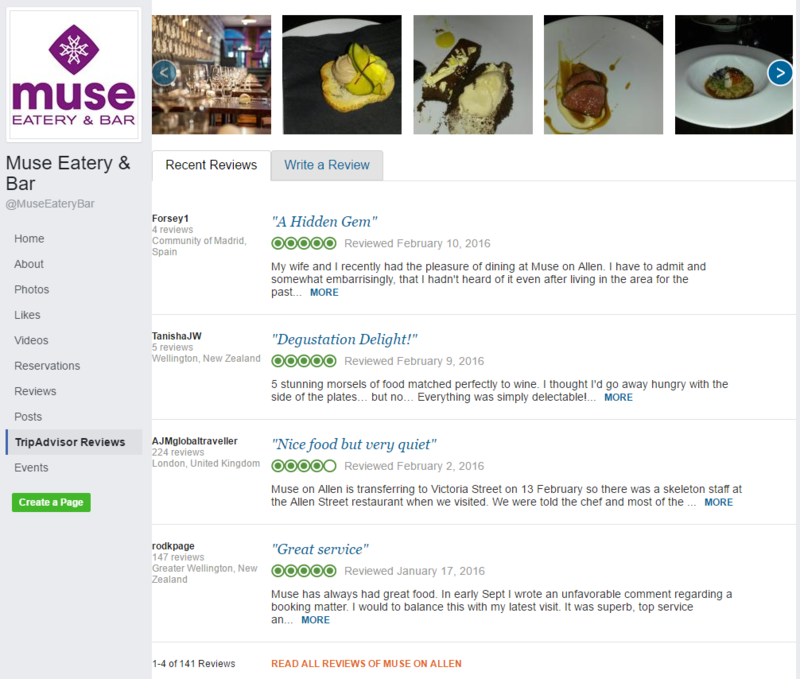 Muse’s trademark purple decor will remain, as will its seven staff and favourite dishes such as the beef tartare, tuna sashimi, and creme brulee with doughnuts. by the way notice anything about the Logos ? Samuel then transferred all of Jozsefs shares into his own name in two steps here and here when no corresponding transaction had occurred in the actual company books and when Jozsef was the only person to have equity in the company see here this is why there was a court matter “After court North said his the debt stemmed from a legal battle he had with a business partner when Muse first opened” Jozsef basically took offence to being ripped off to the tune of $64,000. strange that the bill to IRD is about that size .. coincidence ? 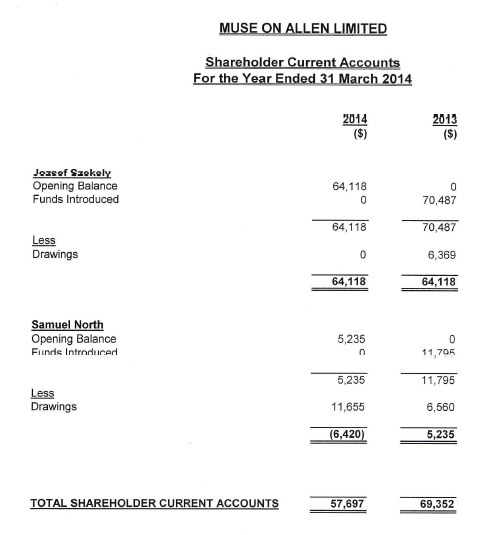 we do hope that the liquidators look at the accounts closely we are not book keepers but the accounts for Muse on Allen certainly appear to have more than one issue. 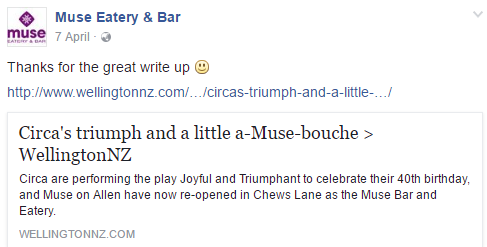 we don’t know what you think but we are pretty certain that muse on Allen and Muse eatery are one and the same .